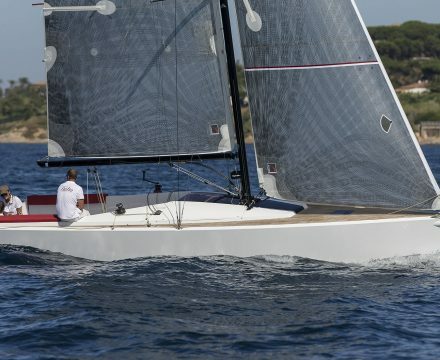 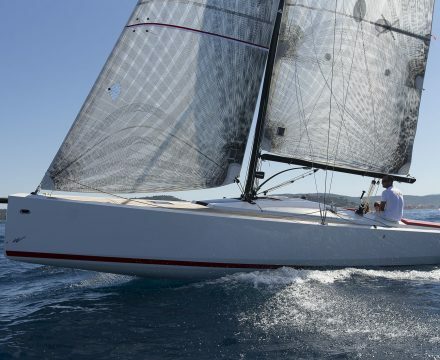 The first Day Sailer in the brand’s history, the Optio incorporates all the Wauquiez hallmark features: it boasts the unmistakable sophistication, luxury and craftsmanship. 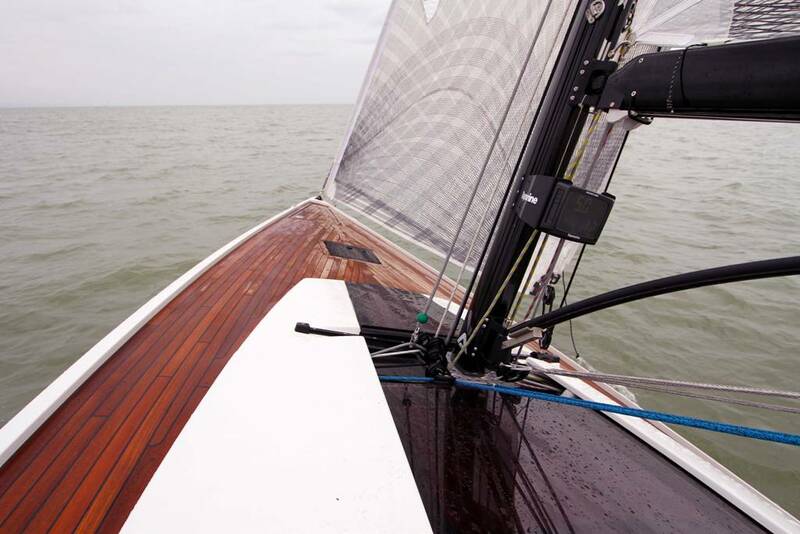 Its sleek, timeless lines, fluidity of the curves, uncluttered deck and teak covering the cockpit, flush deck hatches: the Optio has her own marked personality. 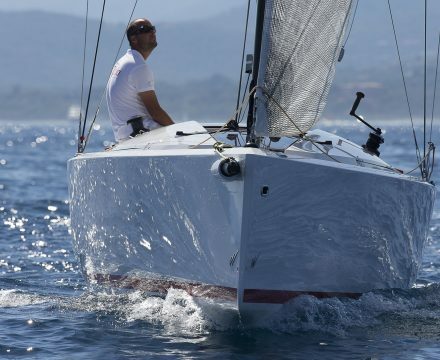 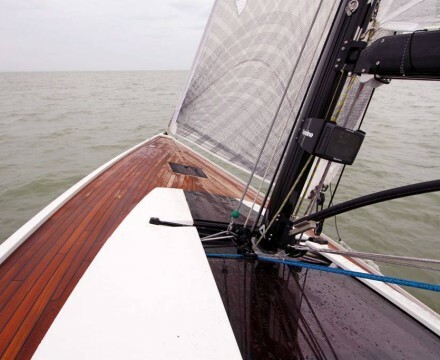 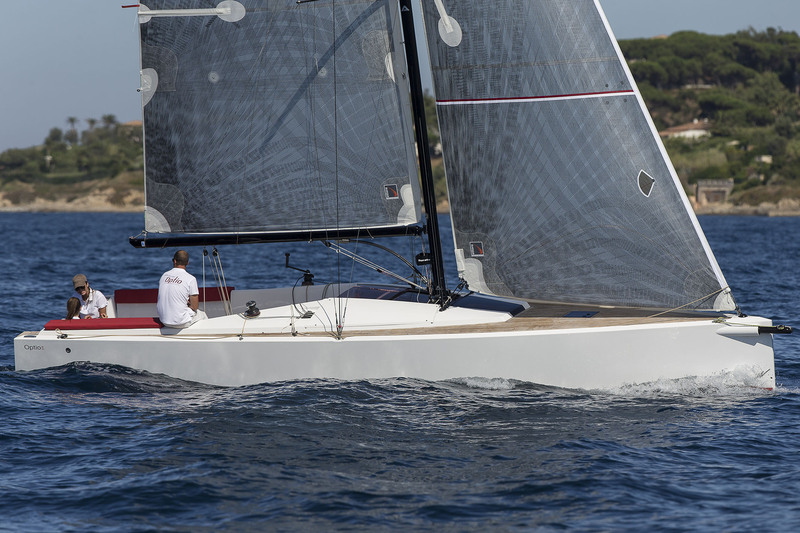 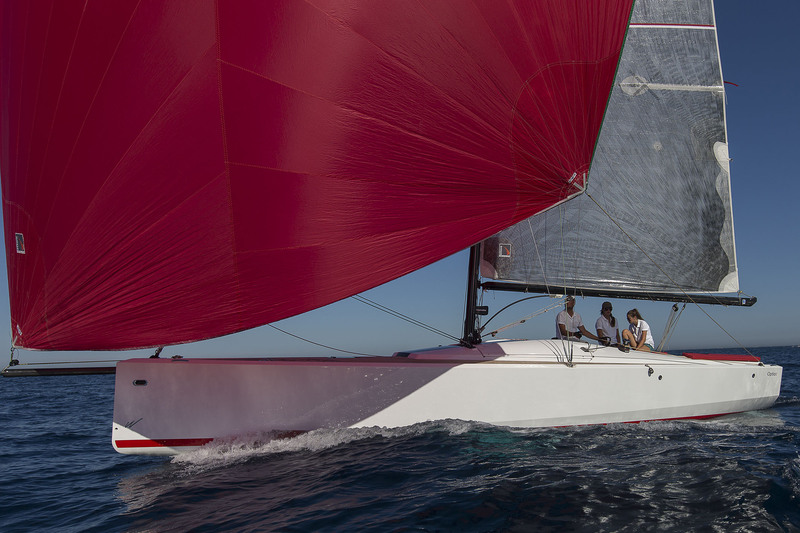 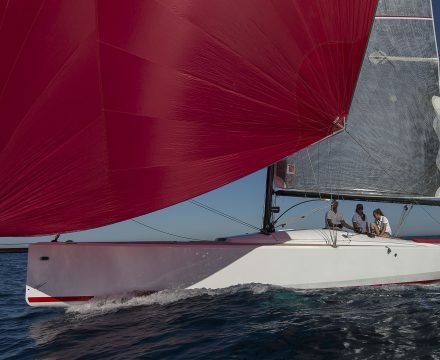 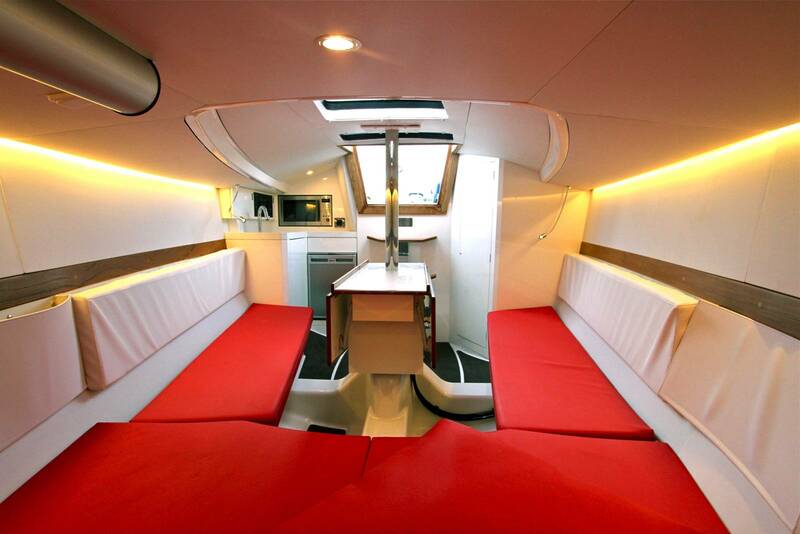 The Optio 9 has been resolutely designed for high performance, with her progressive chine hull and sleek deck; the standard model includes full racing equipment. 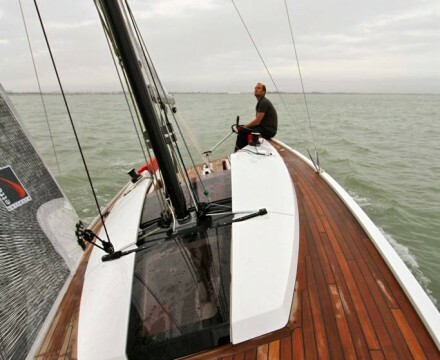 Efficient and easy to handle, efficient helming with a crew: the removable seats ensure clear cockpit space to facilitate the movement of the crew. 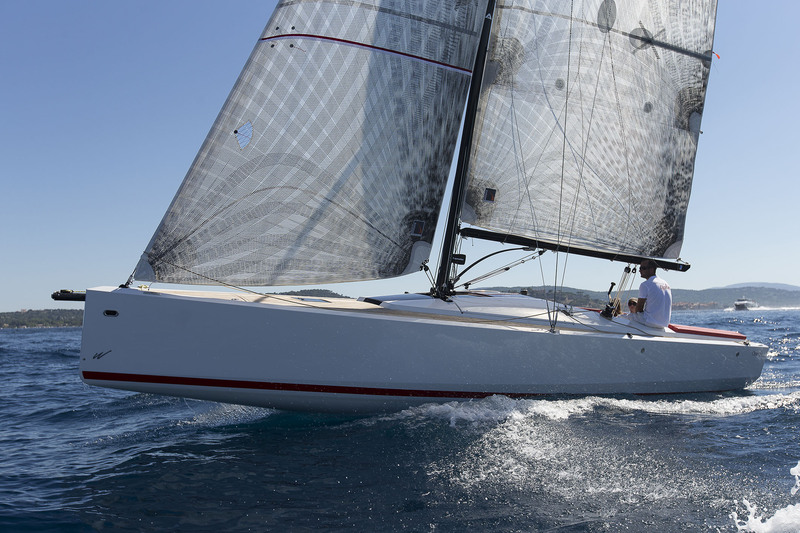 Fun helming single-handed or with a family crew: the seats reappear, the winches are within easy reach of the helmstation, self-tacking jib facilitates manoeuvers and the retractable bow sprit allows for the spinnaker to be hoisted effortlessly. 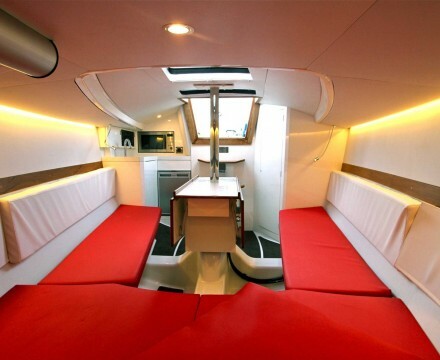 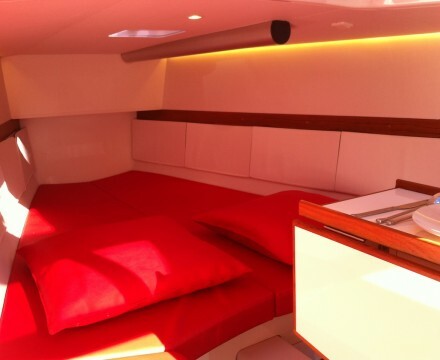 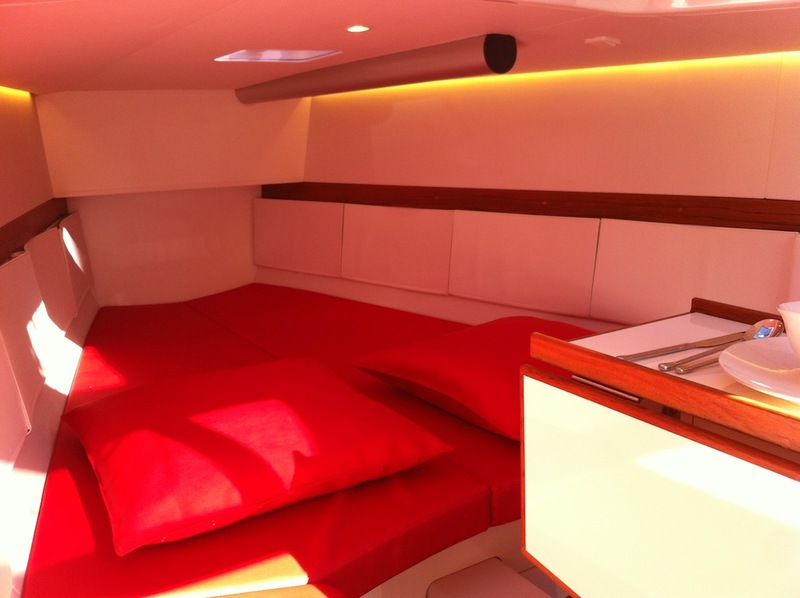 Customisation: it is possible to coordinate the colours of the hull, waterline, cushions and mast to make each boat truly unique.